Get notified when New Orleans Saints tickets are available! 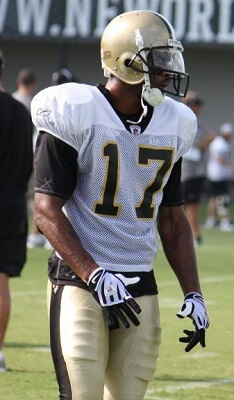 The New Orleans Saints are a South division team in the National Football Conference of the NFL. Founded in 1966, the team won their first Super Bowl in 2009 and use gold, black and white as their colors. New Orleans Saints home games are played at the Mercedes-Benz Superdome, which opened its doors in 1975. The stadium was previously known as the Louisiana Superdome and has operated under its present name since 2013. With more than 73,000 seats, the Superdome can hold huge, excited crowds for games, and you can be among the fans by using the links above to buy New Orleans Saints tickets online.